Thread: Precista 89 - PRS-17a will there ever be a reissue?! Eddie said a while ago that it may return in PRS-17Q form. 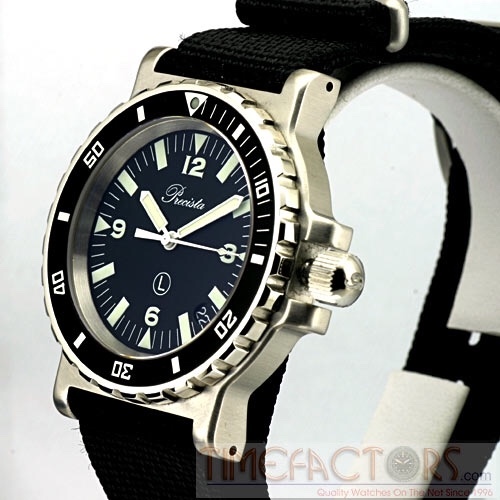 I would love it if it was reissued with both the Precista 88 and 89 dial iterations. Thanks for the reply, By the look of it Eddie seems pretty busy. Hopefully he has time to reissue these great watches! I wonder how difficult it is to reissue pieces. I'd love to see a -17a or -17q out again. Maybe in 2020 or '21? It seems there are enough watches coming out from Eddie this year that it's already a financial challenge. I rather like this version. I agree, all these great watches coming out is starting to get financially straining. Especially when they’re limited runs. I like the look but can’t say I like the pvd option for longevity reasons. The steel looks great imo, also just want to say thanks for the watches you’ve been putting out Eddie, they’re fantastic. Is that a modded version Eddie? I don't think it started life looking like that but Tutima certainly made some with that case and it's rumoured that Sinn did too. 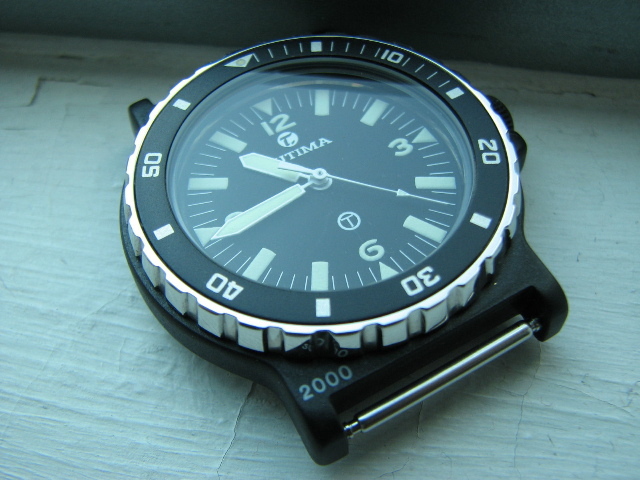 The Tutima came in date, no-date, SS and black versions, but I don’t know if the “2000” on the case is from a franken. Tutima also made a chronograph version very much like the PRS-17C and branded versions with other names like Beems on the dial as an additional name. I’ve also got many other watches having the same case, but with differing names on the dial. Timelord, thank you very much for the link. Brilliant work. I will look out for variations in this case as it fits my wrist very comfortably and I enjoy it's slightly quirky shape. Last edited by size11s; 18th April 2019 at 12:05. The Tutima came in date, no-date, SS and black versions, but I don’t know if the “2000” on the case is from a franken. Tutima also made a chronograph version very much like the PRS-17C and branded versions with other names like Beems on the dial as additional an name. Nice article, thanks for the info mate.